10 things you'll be doing when you're not mowing lawns! Should you go electric in your lawn mowing business? Can a millennial own a lawn care business? 12 ways to get paid on time every time! Are lawn mowing businesses profitable? How does a lawn mowing operator cope with extreme weather? So it's a Friday afternoon and you've just finished mowing your last lawn of the day. Job done: time to put the feet up with a beer, right? Not necessarily. First, let's get one thing straight - starting a lawn mowing business will absolutely change your life. And almost certainly for the better. Thinking about joining those who have boldly and successfully taken the plunge? You won't regret it. But that doesn't mean it's not an awful lot of hard work - or that the lawn mowing business isn't something that very much needs to match your personality. And that's because it's not just pushing a mower backwards and forwards on the green stuff. It's going to take a lot of commitment, grit, sacrifices, an open mind and long hours to make it. Yes, buying a lawn mowing franchise is a great and simple way to go into business. But there is no such thing as guaranteed success, especially if you don't prioritise good business administration, the ideals of informed decision making, and tried-and-tested principles such as time management and customer service. You may be thinking: "Sheesh! Sounds like there's an awful lot to do other than mowing the green stuff!" And you'd be right. But don't panic. It will one day all seem as simple as mowing in a straight line. And you'll be just as good at it, too. You're in luck: buying a lawn mowing franchise is one of the most affordable ways to go into business. And you're in luck again: you'll find it much easier to get that finance to buy a franchise compared to trying your luck with a stand-alone business. When you start that mower engine, it means you're about to tick off another job in the diary. But that job didn't just put itself there - you had to take the order. Not just that, you had to arrange your diary so that there are no clashing commitments. Scheduling management is a key task and skill for any business, but particularly one that relies on an ongoing turnover of clients and jobs. Cranking up that mower engine is a key moment, but it relies on so much earlier preparation. You had to research the best equipment to buy. It has to be in tip-top shape. You'll want other gear in the trailer, including safety equipment, tools, and a reliable vehicle to get it all from client to client. After a long day at work, you need a good sit down and a beer. But so does your equally hard-working equipment! Most successful lawn mowing franchise owners will do maintenance each and every day, and that means cleaning, repairing, replacing, ordering and checking. Because when you're ready for another long day, the last thing you want to discover is a tired tool at 9am! A successful business is an organised business - it's just that simple. So your office, laptop, printer and business management tools and software are all just as crucial to your lawn mowing franchise as that mower is. You'll probably have separate organisational strands for new, repeat and potential clients, as well as all your marketing, new ideas, research, expenses, income, records, and so on. Once you're getting those orders, you'll start to get really good at logistics. For instance, if you find yourself with three orders within two streets of one another, it won't make sense to keep dashing off to the other side of town between those local jobs. A paper monthly planner can help you do this, but there will also be electronic versions on the market that do the job even better. Especially when your franchise is the new kid on the block, taking incredible care of your customer base is the bread and butter of your lawn mowing business. This doesn't just mean perfecting your uniform, presentation and manners, but going above and beyond by doing special promotions and thinking about little gifts, for instance for Christmas. We said you'd spend time in that office - and we weren't kidding. There will always be phones to answer and calls to return. There will always be invoices to write, payments to process, and tax affairs to manage. You'll be constantly dealing with client complaints, rescheduling due to bad weather, chasing up money, coughing up to suppliers - and regularly reviewing, tweaking and improving in all of these tasks and more. A particularly awful day of weather is the perfect excuse to catch up on all of those little jobs, like changing the mower spark plugs and washing the business vehicle and trailer. But there's always going to be so much more to do as well. When was the last time you compared your prices to your nearest competitor? When was the last time you looked through the latest equipment catalogues? You may find a great deal on a brilliant new mower that ups your productivity by 10% - and that converts directly into business bucks! Phew! There's always so much to do! But guess what? There will always be the unexpected to deal with on top of all that! Running a lawn mowing business may not sound like it's all beer and skittles, but it's a super-rewarding way to step free of that restrictive day job and take control of your destiny amid the fresh smell of freshly-cut grass. Crewcut makes it all seem easy with training, mentoring, branding, marketing and guaranteed income all part of its lawn mowing franchise package, so join the adventure now by calling 0800 800 286. Happy mowing! If you mow lawns for a living, your love of the green stuff and a willingness to work hard are extremely important. But it won't mean anything at all if you don't have lawns to mow. So how do you get new customers? It's called marketing. The Oxford Dictionary defines it as the "action of promoting and selling products or services". But if you've been in the lawn mowing business marketing world for decades and your customer numbers are low or dwindling, you're probably doing that selling wrong. You may be looking at this from the perspective of a lawn mowing business owner, but just for a moment put yourself in your customers' shoes. And when was the last time you actually looked at a flyer for a business and did anything other than bin it? Back in the day, it used to be all about physical marketing materials including posters, flyers, pamphlets and brochures. And then it used to be about putting on some comfortable shoes and getting them all over town. But these physical marketing materials, including prime real estate in the Yellow Pages, all now belong in the marketing museum. But don't despair: it's actually great news. Not having to get all of this stuff printed and put about the neighbourhood is going to save you a lot of time and money. There are other traditional marketing techniques that no longer really work as well. Just like doorknocking, people really don't like being bothered at home. Sure, in days gone by, actively interrupting people used to have approximately a 3 in 100 hit-rate, so it was worth it. But these days, when more effective and less disruptive options are out there, telemarketing is actually more likely to simply damage your reputation. If you actively get people to sign up for an email newsletter, that's still great marketing. But spam emails that go out to thousands of random people? It's no longer cutting it in 2018. But although telemarketing and untargeted spam are examples of more modern and technological marketing options compared to door-knocking and flyers, it's still time to acknowledge that the world has sped ahead much faster than that. So while your lawn mower may still be made of actual physical material that exists in the real world, for your marketing to get up-to-date, you're going to have to go digital. In short, if digital marketing is not yet your bread and butter, you're not giving your lawn mowing business its best possible chance of attracting customers and growing in the long term. It's also possible that your current approach to digital marketing is already out of date. Studies have shown that your customers already seriously hate things like spam, pop-up banners and obviously fake online reviews. And just like door-knocking and flyers served lawn mowing businesses for many years, the world of digital marketing is also changing and progressing at a pace that you need to keep up with. Here are a few super-up-to-date digital media strategies that you really should be using for your lawn mowing business marketing. Having a website that works both on computers and mobiles may be mandatory, but it also needs to be constantly tweaked in order to keep up with Google's fast-moving and ever-changing search algorithm. People used to 'stuff' keywords in content to boost their chances of appearing high on those Google searches. But now, those keywords need to be integrated with really high-quality content, and updated at least several times a year to ensure your business is still being found by those who are looking for it. As well as having a simple, attractive, useful and mobile-optimised website that is full of the right keywords, you really must consider blogging. First, the Google algorithms love relevant and valuable content. Secondly, when you link that content to your social media profiles, your customers will love your valuable content too. Digital marketing experts agree that customers will feel a lot more positive about your business if your marketing material is actually interesting, compared to stuff they consider to be mere 'advertising'. We mentioned social media in #2, but it more than deserves its own heading here. In fact, it equally could be #1. All of your social media profiles are just as important as the last, and together they are probably your most powerful marketing tool. Social media allows you to share content that your target audience really wants, and then gives you the ability to actually engage with them through conversation. An awful lot of enquiries are also going to come via your social media channels, so if you're not prioritising it, you're definitely missing a serious trick. Don't get us wrong - pay per click advertising is still worthwhile, and the targeting and analytical power of things like Google AdWords and Facebook advertising will feed you back a lot of valuable information. But for a local business like your lawn mowing franchise, there is something even more powerful. It's called Google My Business. Basically, it's a business listing that will come up pretty much first when your customers are searching for a lawn mowing service near them. If yours is ranking prominently, you'll be getting a lot of business without spending a single cent on paid advertising. Online reviews are worth their weight in gold - if you do them right. For instance, if someone stumbles upon your reviews section and everything is five stars with generic comments like 'Awesome!' and 'Love this business', your customers are going to be rightly suspicious. Real word-of-mouth and actual recommendations are still incredibly powerful for your business, and genuine online reviews are just the modern version. A huge 90% of your customers will have checked out your reviews at various places before booking, because they feel like an actual person giving an honest opinion is worth so much more than a shiny ad. But those reviews do have to be real. In fact, you may get more value from a negative review that you dealt with swiftly, deftly and honestly than you would have if you had just deleted it. This may be where we leave our article today, but that doesn't mean it's where your modern marketing journey ends. 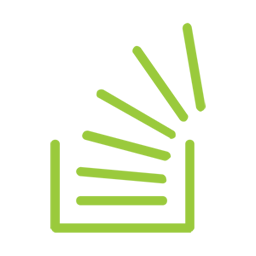 In reality, the different ways to grow, promote and monetise your lawn mowing business through modern marketing are almost endless - which is why we're here to help! Crewcut offers a ready-to-go option for those seeking a new start as a lawn mowing entrepreneur, including training, mentoring and (you guessed it) modern marketing support. We have a lawn mowing business for sale just for you, so get in touch today on 0800 800 286. Whether you run a big or small business, you need to have your eye on digital trends. All age groups are now looking online to find their next service professionals, from lawn care to maintenance. If you’re not online, you’re not being found by your next customers. Unfortunately, many small business owners make the mistake of thinking digital marketing is better left to the big-name businesses. There are simply too many trends to keep up with, to much to learn, and it’s not necessary for your day-to-day success. In reality, these are all myths that hold your business back. In 2017, 46% of all Google searches were local searches. This means that your customers are out there searching for businesses in their area. While things like newspaper ads and radio segments might have worked 10 years ago, times are changing. Now, you need your business to be online if you want to be visible. Here’s why digital trends are essential to small businesses. Many small business owners are used to the way things “used to be.” They remember when word-of-mouth was their biggest source of new customers, and if they wanted more attention they’d invest in a print ad. While this was an excellent strategy a decade ago, it’s time to invest in something else. Digital trends are shaping our world. For example, users are spending 69% of their media time on their smartphone. That’s a lot of scrolling through social media, watching videos, and visiting websites. How have you positioned your website? Do you even have a website? These questions are key today. Maybe you do have a website. Maybe you’ve invested good time in making sure your website functions and looks nice. Beyond that, you didn’t think you needed to do anything else. While that’s an excellent first step, it can’t be your only step. The digital world moves fast. Having a website was a great way to get noticed a few years ago, especially if other local businesses didn’t have a quality website. However, today that’s just the expectation. Social media platforms come and go. New ones gain popularity. Algorithms change. Suddenly, what worked before doesn’t work anymore. That’s why following digital trends is the only way to notice any improvement in your marketing. Keeping up with digital trends can be a big task. It’s important for your business to have a digital marketing strategy in place. It can be easy to become overwhelmed. But there are few things you’ll want to make sure you’re covering. Responsive Website Design - Your website needs to look like it’s designed for this century. If it’s not mobile responsive, you’re losing customers. Use a template or work with a professional web developer to ensure everything looks perfect before you publish. Geotargeting - When creating ads whether you’re on Facebook or Google, use geotargeting tools. This means you can target consumers who live near your business. Video Content - Nowadays, video is becoming more powerful than written content. Showcase your best customer stories via video on social media and your website to establish trust with potential customers. Analyze - Nothing will work perfectly upon the first try. Be willing to analyze your marketing results, make some changes, and try again. Eventually, you’ll find the winning formula. As you can see, it’s essential you dedicate your time to finding the right digital marketing strategy. Using a timeclock software trial you can track just how much time you’re spending on your new digital marketing. But digital trends will come and go, and you need to build a business that stands the test of time. Crewcut has it’s own internal marketing department that is dedicated to helping you grow and develop your business. As your lawn mowing business is all about making those gardens and lawns look amazing, exactly what lawn mowing equipment you use is not all that important. Right? Wrong! Your lawn mowing equipment is just as important as your lawn mowing technique. And as your old gas guzzler has served you well, why bother making the switch? Before you say 'No way!' to electric, consider this for a moment: you may already have some awesome electric equipment in your toolbox or trailer. We're talking things like rechargeable weed and hedge trimmers - and they certainly do the job well enough! Climate change is a big topic, and it's a great boast to be able to put 'zero emissions' on your lawn mowing business CV. One study showed that an hour at work with a petrol mower pollutes the planet just as much as a 160km car trip. Just like your other petrol equipment including your car, there's always maintenance to do. But electric equipment involves basically NO maintenance or upkeep, so you can forget all about changing those spark plugs, fuel filters and oil. Save time and money at the petrol station, save space in your trailer, and make your job a little safer by no longer lugging around fuel tanks. For a lawn mowing business that is going to get plenty of use from that slightly higher investment, cutting out those ongoing fuel costs is going to save you in the longer run - especially as fuel costs just seem to rise and rise. Anyone who has tried to get a petrol mower up and down stairs knows how heavy they can be. Electric mowers definitely are lighter, but the difference actually isn't huge. Forget all about breaking a sweat while you crank a petrol engine - electric equipment is an easy as the push of a button. Sounds good, right? But before you grab your keys and head out to buy a brand new electric lawn mower for your business, it's important to look at this very important decision from some other angles. That's because while an electric lawn mower may be powered by electricity, it's not magic! There are some 'cons' to seriously consider, too! There are a few types of electric lawn mower on the market, and you'll definitely want to dodge the ones that plug straight into the power. Running over the cord will not be fun, and getting tangled up or finding that your extension lead is not long enough is a real pain, too. For a lawn mowing business that is always busily counting its up-front costs, it may be difficult to justify the slightly higher price-tag compared to a conventional petrol mower. And because you can't afford to sputter to a halt halfway through a job, you'll need at least one (expensive) spare battery in the trailer. Make sure you know exactly how long a single charge will last, as you can't tell clients that they need to wait when a simple re-fill of fuel would have done the job a lot better. As a lawn mowing business, you need a lawn mower that really packs some punch. And while the salespeople will tell you all about that impressive voltage, it can be harder to know what the actual power will be compared to your petrol equipment. The truth is, electric lawn mowers are not as powerful, the torque numbers are not as impressive, and the all-important cutting width is normally narrower. If your petrol mower stops working, the mechanically-minded among you will probably pull out the spanner. But because electric equipment is usually completely sealed, a major problem will almost certainly mean visiting the shop - possibly for a brand new mower. Electric or petrol? Time for the verdict! So we've weight up the pros and cons - it's now time to think about whether electric or petrol equipment is right for you. If you were a normal homeowner with a couple of simple patches of lawn and you were currently on the market for a new mower, this might be a total no-brainer - electric mowers are simple, easy, not hugely more expensive and a perfect way to boost your low-emissions credentials. And when that battery runs out after a few mows over several weeks, it's no big deal to plug it in and go and do the housework. But it's a much more difficult decision for a lawn mowing business. Without a doubt, electric lawn mowers do the job - and it's probably the technology of the future for an industry that dates all the way back to the 1830s. And in a highly competitive market like lawn mowing, any 'green' marketing edge would be really handy. But above all else, you really need your lawn mowing equipment to work BRILLIANTLY well. And an honest assessment of electric vs petrol lawn mowers will probably tell you that a powerful petrol mower that you can maintain and repair over time, and fill with fuel as needed when you run out, is the best answer for a lawn mowing business. While the electric market is still developing, there are so many different types of petrol mowers on the market that you will definitely find something that is perfect for a supercharged lawn mowing business. So there's no denying that, in the lawn mowing world, petrol equipment is still King - and, as a business, that's going to be something that is hard to ignore. But that's not to say that petrol is definitely 'better' than electric. As long as you're getting the job done, at the end of the day it's totally up to you. Electric equipment is constantly getting more powerful, with beefier batteries and a raft of impressive performance-enhancing goodies. But some believe it's an attempt to fill an unnecessary gap in the market and will ultimately fall flat. What do you think? Is it worth taking a punt on electric? Good luck with your choice, and happy mowing! We're sorry to break it to you, but if you were born between 1980 and 2000, chances are you're a member of that special class of avocado-eating, selfie-taking, brunch-loving Millennials. And like many of your brethren, you may be seeking something to do with your life that's a little more fulfilling than your ordinary day job. Unfortunately, for many of these Instagram-your-lunch types, business ownership seems out of reach. Even so, here's a fascinating phenomenon: Millennials are snapping franchises at an astronomical rate. Indeed, the International Franchise Association claims that almost 75% of all Millennials list entrepreneurialism as a key aspiration. And here at Crewcut, we couldn't agree more that being under 30 in 2018 gives you the perfect set of skills and values for making a franchise succeed. Forbes claims that a staggering 72% of all Millennials want to be their own boss. Why? Because they're not afraid to tell you what they want. They don't want to just sit at a desk. They see the big picture and are powered by technology. Whether it's an opinion about the new iPhone or a cool way to make mowing lawns easier, Millennials certainly bring fresh thinking to the table. These values are powered by the Millennials' desire to live rather than let work dictate life, which means a range of fresh strategies to make opportunities come to life whilst having fun at the same time. As the world so obviously changes, so too does the Millennial. In fact, the world has changed from the previous generation to the current one so radically that the Millennial is fairly well placed to embrace brand new thinking. We've gone from pre-internet to online gaming, and landlines to a smartphone in the hand of every toddler. But the job market is changing hugely as well, meaning the Millennial is ready for anything and primed for multi-tasking and rapid adaptation. If there's one main difference between the Millennial generation and the one that preceded it, it's technology. In short, Millennials were raised with technology from the cradle, and they embraced it with relish. When transferred to the world of lawn mowing franchise ownership, one thing is certain: the Millennial lawn mowing King or Queen won't let even rapid technology changes leave them behind. But social media savvy will actually come in very handy for the Millennial lawn mowing entrepreneur. Filming, creating, hashtagging and sharing work with the community will be easy-peasy, giving the Millennial a big marketing head-start over the Baby Boomer competitor. 'Youth beats experience' may seem the wrong way around, but let's face it: mowing lawns is hard. Mowing 8 lawns a day is even harder. And it's going to be a lot easier for a 20-something compared to a more-than-20-something. Fit, active and with minimal health issues, it's the perfect stage of life for a Millennial to get out and active and soaking up that vitamin D with a lawn mower. We've known lawn care business owners who reported walking 25-30km a day during the summer months - and only a Millennial's latest Fitbit watch is equipped for that sort of workout! One of the secrets of achieving wealth independence later in life is to start as soon as possible. This fact alone gives Millennials a hefty head-start when it comes to taking on the responsibility of business ownership - with the protection of an established franchise brand and the willingness to work hard, save and invest for the long-term as key factors on top. The younger you are, the less responsibilities you have other than earning, learning and aiming high for the future. The cost of living and home ownership is sky-high for the Millennial, but a Crewcut franchise owner is almost guaranteed more than industry standard earnings. When the Millennial's parents grew up, they were still on the trajectory of 'one life, one career'. Ask a Millennial what they'd like to see, and they'll think big: like ushering in the dawn of renewable energy, and solving the catastrophic predictions of climate change. It means the Millennial really wants to make a difference and leave the world in better shape than they found it - and they are prepared to think big and outside the box to achieve it, whilst not shying away from a hard day's work. Even amid all of that youthful angst, no generation is as creative as the Millennial one. Finding a stable job is one particular worry, which makes creating and crafting and perfecting a job that is entirely under their control particularly attractive. The Millennial hasn't given up on the idea of the 'dream job' - they're just more likely to create it for themselves than hope it is given to them. Once upon a time, the young people of the world got ahead because they were going to work 40 hours a week, Monday through Friday, 9 through 5. But as the world slowly phases out that sort of job structure, the Millennial seems completely ready to take control of their own diary. They don't mind working hard, but the Millennial lifestyle is important too - and owning a franchise is a unique way to design a work itinerary with the flexibility they seek. The bottom line? The lawn mowing franchise business seems like a match made in heaven for the Millennial. Are you a young, motivated and ambitious up-start who is ready to take the plunge but not sure quite where to begin? Give the Crewcut team a call today on 0800 800 286. The lawn mowing industry in New Zealand is not just healthy, it's growing and it's thriving. And it's no surprise. It's a great way to get out into the sun, smell freshly cut grass and roses, listen to the birds, and free yourself from 'the boss'. But before you roll up your sleeves, there's an obvious question to answer: Should I buy a franchise? If you don't think that's a big question to ask, think again. Going it alone or shopping around for a great franchise is probably the most fundamental thing to consider up front. The answer is more complicated. It depends on your finances, your targets, your skills, experience and confidence. But if going it alone sounds a bit scarier than picking a franchise model off the shelf, you've probably made a wise and yet still bold and courageous step into the world of lawn mowing. Quite simply, the rate of success is higher for those who buy into a NZ franchise compared to those who start a whole new start-up brand and business themselves. As for who to pick, there are plenty of options to choose from. We're not going to tell you who to go for, but there are definitely plenty of questions you can ask as you mow your way towards an answer that works for you. Just like if you're buying a new pair of shoes, you can't ignore that ticket price. And the price can vary wildly. But it's also important to recognise that the ticket price isn't everything. There may be fees, commissions, marketing and administration costs, call centre referral fees, and more - so make sure they're all known, understood and weighed up. 2. Does a franchise appeal to me? You may whittle your selection down to a short list, but that doesn't mean that your cold calculations need to rule you. Is there an option that just appeals to you emotionally? Does the brand match your personality? They can be key questions that ultimately determine the success of your lawn mowing business escapade. 3. Is your favourite franchise experienced? With more and more franchise brands on the market in New Zealand, it's important to consider something that is extremely important - do they really know what they're doing? Peace of mind is crucial when buying a lawn mowing franchise, because while it may seem simple, the lawn care industry is anything but simple. So if the brand's knowledge and experience match up to their business name, you could be onto a winner. 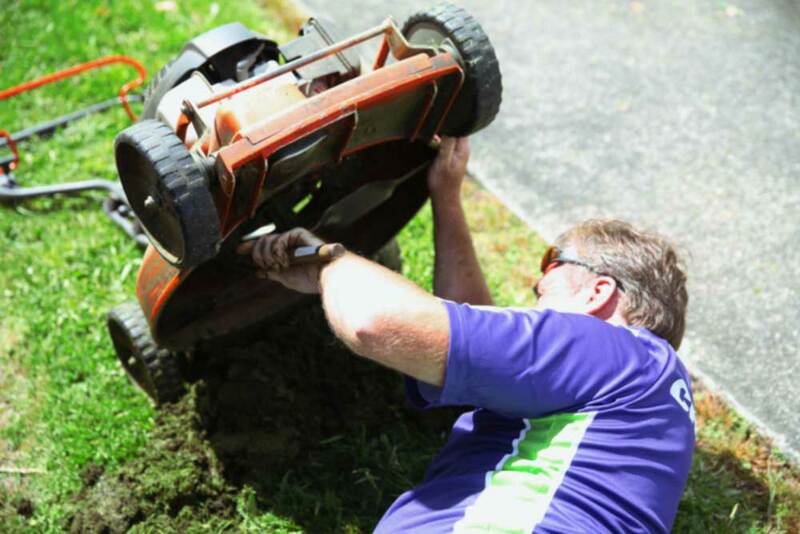 Not tooting our horn, but Crewcut is one of the most established lawn mowing franchises in New Zealand. We've been looking after Kiwi backyards for over 25 years - with that comes great experience. 4. Does my family support me? All too often, people regard the decision to buy a NZ franchise in lawn mowing an easy alternative to a '9 to 5' job. But it's anything but. Yes, it's a simple route into the world of business, but it's no guarantee of success. You'll still need to work hard, and lawn mowing may become a big topic of conversation around the dinner table. If everyone is on board, the challenge will be smoother. 5. Is the franchise supportive? It's all good and well that the franchise model suits you and you can afford it. But what about the level of support that is offered? The best lawn mowing franchise won't see you as yet another sale, they will see you as an important business partner. They'll train you, mentor you and help with your marketing - and that means guaranteed income! 6. Do you have the finance? Yes, the headline ticket price of your chosen franchise may look good, but how are you going to go about getting finance to buy and run it? Most people going into business need to secure finance, and it's just a fact that if you can take a proven franchise name to the bank, your chances of success are higher. 7. Does the franchise have a good name? One of the major benefits of going the franchise model route is that you're buying into an established image, name and reputation. And not just that, you want your franchise brand to also have an established network, proven processes and systems, and a clear route to profitability. When we asked some of our customers why they chose Crewcut over other franchises or independents - one of the main reasons is that Crewcut seemed to be trustworthy and a quality service. 8. Does it include marketing? All of the best franchise options will point you towards the right equipment, accounting support, and training. But that's all nothing if you aren't getting bookings! Some NZ franchises are simply better at supporting you with one of the most important aspects of running a lawn mowing business - the marketing. Because if you're not sure how best to reach your audience, what's the point of your brand if they won't help you? 9. Have you done all your homework? If your franchise option is great at marketing, perhaps they've marketed themselves brilliantly as well! But don't fall for the spin. Do your own research. It's called due diligence, and it means knowing the assets, liabilities and commercial potential of the brand - and test whether the stories you've been hearing are right before you pull the trigger and sign up. 10. How can I find out more? If you still have questions that need answering, New Zealand's Ministry of Business, Innovation and Employment has set up a page that is just for you! If you're thinking seriously about buying a lawn mowing franchise, remember: you're not alone. There are thousands of others who are moving towards being convinced that deciding to buy NZ franchise is a great step into the exciting world of business. Whatever you decide, just remember that every option should be weighed up carefully, and if in doubt, get some professional advice. Good luck ... and happy mowing! Think your lawn mowing business is all about mowers and sunshine and the green stuff? No, there's two things that are arguably even more important: How about getting paid? And (even better), how about getting paid on time? So often, as the business owner, you go above and beyond to give your lawn mowing clients the service of their dreams. "All they have to do in return is pay!" It may not seem like you're asking for a lot, but it's a refrain that every operator of a lawn mowing franchise understands all too well. Many businesses are cash only, and credit is a last resort. Your customers are not entitled to have credit, unless they have been long standing and reliable customers. The first rule of having debtors is to avoid it before it starts! A wise man once said 'Those who don't ask, don't get'. So how about asking your clients to pay upfront? Especially if it's a big lawn care project, you might even be justified to ask for a deposit. If you're tired of the delay between doing a job and getting paid, make sure you're not contributing. All too often, businesses will forget to issue an invoice straight away - and sometimes they forget all together! 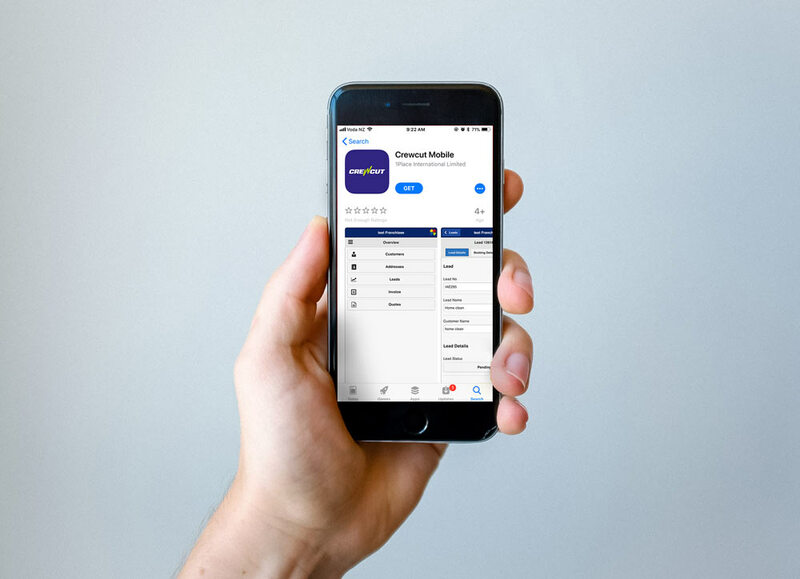 All Crewcut operators have access to a specialised invoicing and customer management system, which means that invoices aren't an issue and can be done almost instantly. You can check out the Crewcut app here. Often, a client will fail to pay on time not because they don't want to, but because they just didn't understand when it was due. So make sure you briefly mention the invoice and what they should expect to find once they have it in their hands. And if that invoice is in any way unclear, make sure you explain it - and if possible re-design the invoice to make it clearer. You'll always stand a better chance of getting what you want and deserve if you're polite. Does your invoice say 'Thank you for your payment"? It seems insignificant, but it's the little things that really count when it comes to awesome customer relationships. In fact, a study by FreshBooks, an accounting expert, showed that a simple "please" can boost your chances of being paid by 5%. Everyone loves a discount, and we don't even mind making a little effort to get one. So how about offering 2% off if that invoice is settled before the due date? The client knows they have to pay anyway, so they'd might as well get a little bonus as well. Especially if your invoice includes a reward for early payment, you might even like to consider including a penalty on that invoice for late payment. Utility companies do it all the time, so your clients probably won't even mind if there is a late-to-pay penalty. It could be just enough incentive to leap for the reward rather than the penalty. If you don't love the idea of discounts or penalties, make sure you're at least issuing regular, timely reminders. Your lawn care customers know that you have done an awesome job for them, so they won't mind at all if they get a little reminder a few days before that invoice is due. Especially for a repeat offender, there comes a time when you have to drop the Nice Guy routine and just demand that payment finally be made. If you're consistently TOO lenient on customers who don't pay, you'll eventually be taken advantage of. Even if you do automate, make sure your invoices are nice and simple. Often, a client will simply not understand something on an invoice, like 'Net 30' or even 'due upon receipt'. Use everyday language and get paid - every day! Are your clients ever asking if they can pay by credit card and you say no? What about cheques, direct deposit and online payments? If your answers are always no, then your payment options may simply not be flexible enough to meet the needs of your clients. One of the absolute cornerstones of a successful lawn mowing franchise is client rapport. Never forget that you're not just mowing lawns, you're building relationships with lawn mowing clients. So is your mood bright? Do you communicate well? Do you listen and engage? Having a positive relationship with a client can fend off a problem before it ever arises. As well as a friendly "please" in the invoice and a "thankyou" on the receipt, there's always room for a bit of personalised recognition. If someone really does go above and beyond to be the perfect lawn mowing client, is there anything stopping you writing a hand-written note or text message? What about a quarterly gift to your very best customers? The more you reward loyalty, the more loyalty you will foster. Here at Crewcut, we always make sure to make our customers feel valued - we put seasonal door hangers on all the doors of our valued customers. Find out more about our specialised marketing packages right here. You may get a buzz out of manicuring your lawn mowing clients' lawns, but when they don't pay or they're slow to cough up, that's a big headache for you and for the health of your business. So get thinking, get proactive, and get paid. Happy mowing! Want more information about owning your own lawn mowing business? Find out right here why Crewcut could be the Crew for you! If you've started a business on the lawn care rounds or you're getting ready to do so, you're joining a great party. But to make your business survive, grow and thrive, you'll also need lawn care smarts, all the right paperwork and a bit of cash and support behind you. And there's something very important you might not have considered at all: Your actual route. When it comes to lawn mowing business profitability, you can't afford to fly by the seat of your pants. Your accountant will expect efficiency, and so will your clients. They care about emissions, waste and climate change, and they demand that you get to their place on time. So when it comes to scheduling jobs, you'll need some planning smarts. You don't want to head to one side of town for that 9am job, drive an hour to the other side and then finish the day right back where you started. It wastes petrol, wears out your vehicle, and blows precious time that could be spent either relaxing or mowing more lawns. Before you can put together an effective schedule, you'll need to go into information-gathering mode. You're looking at anything that could affect travelling time, expenses, quality and efficiency - because information is power, especially when it comes to routing and scheduling. You might not think that planning an efficient route is more complex than just looking at all the booking locations and joining the dots with the shortest possible transit time between them. But you also need to consider how long each job will take, what the flow of traffic will be like at the proposed times, and what the road conditions and weather are likely to be. To get really efficient in this 21st century, you're going to have to go beyond mere scheduling. You're going to need to use technology. In 2018, there's plenty out there - even highly specialist online services designed just for lawn mowing route efficiency. Others use GPS or cloud technology to combine satellite with local information to boost your travel times and optimise your routes. As we suggested, it's not just about joining the dots between the locations on the map to determine the shortest possible route. It's also about knowing what to avoid. For instance, try to avoid right turns. Even normal road users sometimes avoid waiting for traffic to clear so you can make that right turn onto a busy road, because it burns petrol, time and personal serenity. Simply by scheduling mainly left turns, you can save petrol, get there more safely, and save time and reduce stress. If you communicate well with your loyal clients, they won't be too upset when things don't quite go to plan. Of course, every plan should be designed not only so it's efficient, but so it will work out. But especially in the lawn care industry, sometimes things happen - like terrible weather. There's also jobs that take longer than expected or technology breakdowns, so it's crucial that you have a good relationship with your client base. It might sound obvious, but make sure you design that route for maximum efficiency. That's because it's surprising how many businesses do have a route planning routine, but it might prioritise based on the type of job, a preference for certain clients, or availability. But if you plan based primarily on location, everyone will get a prompt and efficient service, and you'll have a rep for being on time and stress-free. One simple method used by lawn mowing businesses is to schedule jobs for each day focused on one particular area. That way, if the mower knows they will be staying in that particular area for an entire day of business, they will be able to cram a lot of jobs into that day of service without worrying about blowing a lot of time or fuel on transit. To achieve #7, you'll have to put some effort into drumming up interest in that one particular area. Because imagine how easy route planning would be if, on a Monday, half of your jobs were all in the exact same street or immediate area? You'll need to make it happen. Once you've finished your job in a new area, knock on a few doors or drop a few leaflets. Offer discounts to other households on the street who might also want to sign up for some lawn mowing - and save mowing time, petrol costs and planning time as a bonus. It might seem less important than your lawn mower or your bulging list of clients, but never forget - you only make money for the hours you can bill. And you can't bill for time wasted between jobs because you didn't take your route planning seriously enough. Not just that, every minute stuck in traffic is another minute of wasted fuel, and another minute closer to when that vehicle breaks down or needs its regular service. In short: lawn mowing entrepreneurs need to treat their route scheduling with just as much importance as they treat any other aspect of their business - because it could be the difference between a failing, surviving or thriving lawn mowing operation. Already mowing lawns, or among those looking to buy a lawn mowing business? You're undoubtedly already committed to ensuring that those lawns are nice and green. But is your business really all that 'green'? As we push ever further into the 21st century, it's just a fact that more and more consumers don't just appreciate environmentally friendly businesses - they absolutely demand them. And the expectations on lawn mowing businesses may even be higher than that. Amid growing international concern about climate change, there are plenty of reasons why outdoor businesses are increasingly in the spotlight. Not long ago, scientists made the shocking discovery of DDT in even the remotest areas of Antarctica. The reason? The widespread use of the pesticide in the West. In short, 'green' practices when making our lawns green have been pretty grim. And it's a reputation every business, but especially businesses like a lawn care franchise, must battle. So as competition grows, 'going green' is the perfect way to ensure that your responsible lawn mowing business is the one people reliably pick. Put Antarctica aside for a moment and think about the almighty dollar. One study found that over two thirds of all consumers are prepared to pay more just because a business labels itself as environmentally friendly or sustainable. Undoubtedly, it's the households with a bit extra disposable income who can afford to be more discerning about your environmental credentials. And it's these very people who are also the best lawn mowing business customers - people with a bit of extra money, a penchant for a professionally manicured 'green' lawn, and genuine concern about the state of the planet. No, we're not necessarily talking about wind powered ride-on mowers. But there's no doubt that 'green'-minded people do associate the growl of your petrol-powered mowers with the sort of fossil fuel burning that is contributing to man-made climate change. And there are great electric-powered lawn mowers and other equipment on the market to peruse. Even if you can't find something truly 'green' or can't afford it, the latest advances in just about all technological sectors make a big deal about energy efficiency, so be savvy when it comes time to replace some old equipment. You get your business to that next paying customer with a scruffy lawn at the wheel of your work vehicle. So show your green-minded customers that you care about the fuel you're burning and the emissions you're putting out. Thought about a hybrid? Now's the perfect time to consider it. And if that sounds like a big bill, you might just consider telling your customers that you carefully plan your days in advance, so that driving time is minimised and emissions are kept to a minimum. So your lawn mowing business needs some chemicals, like fertilisers. We get that - it's unavoidable. But synthetic ones hurt the soil, pollute the air, and run into the water. So have you thought about going organic? There are organic lawn care products available commercially, but the savviest of lawn care businesses might even consider making their own with ordinary ingredients lying around the house. And the best thing of all? It's cheap. When you're done mowing, you have a lot of grass clippings. So make a big deal with your clients about what you do with it. Tell them a compost heap is the best solution. That way, you can establish your own green credentials whilst encouraging your clients to have a compost heap of their own. Not only will you get rid of the clippings on-site, you could even add a premium 'compost maintenance' service to your menu! You need to market your lawn mowing business. Just make sure you do it the green way. If you print any materials, keep it to a minimum and always use recycled paper - and if possible, avoid paper altogether and go completely digital. More and more consumers are becoming aware of their environmental footprint - even when it comes to receipts and invoices! Many opt for emailed versions instead - means just a little less waste. Just don't forget to let your customers know that even when it comes to the fine details, you care about the world. Environmental concerns are all about carbon emissions. Right? Wrong. The most precious resource on Planet Earth is water, with only 1% of the world's H2O being fresh and fit to drink. So as you use that water to make lawns beautifully green, show you care about water conservation by encouraging responsible irrigation and doing the little things like using a water-saving hose. So while it's not all about emissions, it definitely is a LOT about emissions. And a lawn mowing business that is really serious about its emissions will not only try to reduce its carbon footprint - it may even pledge to becoming completely carbon neutral. This can be easily done in New Zealand by offsetting the emissions you make. Look up a couple of good Kiwi non-profit businesses that will plant the right amount of trees to offset your CO2. You can then proudly call yourself '100% carbon neutral' - and that's some boast! What's the only thing better than a 'green' business? That's right: a network of green businesses. Once you claim that title as a lawn mowing business that cares about the planet, look around for other businesses who are also seeking the very same reputation. That way, when someone is getting their 'green' solar panels installed next week, they might recommend you as a great 'green' lawn mowing partner business. 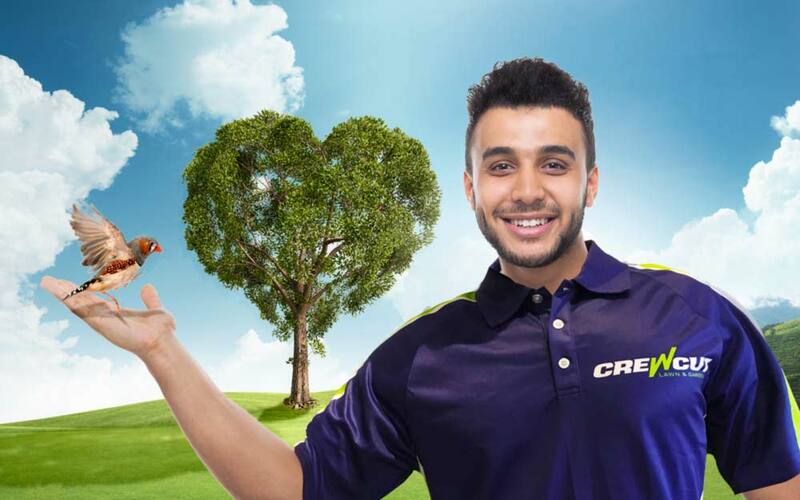 By establishing a commitment to being as 'green' as the lawns you love so much, you demonstrate that even the friendly lawn mowing guy cares about the planet. And as we've demonstrated, it's not just the environment that will thank you for it. 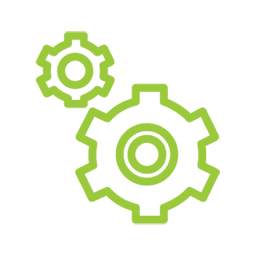 Your customers will reward you with a proud reputation and a loyal client base that is keen to pass on the word about your green credentials. Going as green as your pristine lawns? It just makes sense. They say that money doesn't grow on trees, but perhaps it does in grass. There's no denying that lawn care is a growing sector. Plenty of middle to high income households these love their lawn to look great, but don't have the time or the inclination to get out there themselves. And there's plenty in it for the lawn mowing entrepreneur too. Work your own hours, get fit and tanned in the great outdoors, start a business quickly with few overheads and low risk, and get out there as an active member of your local community. The pros of running a lawn mowing business are obvious. But what about that big worry - profitability? Plenty of fly-by-night 'entrepreneurs' will tell you mowing lawns can make you $50,000 a month, but they're almost certainly full of grass clippings. Crewcut operators can earn anywhere upward of $1,200 a fortnight. But you get out what you put in. If you start that business right, run it diligently and grow it intelligently, the sky is pretty much the limit when it comes to income. So answer the question simply - yes a lawn mowing business is very profitable. But this question comes with a second question: what are the keys to a profitable lawn mowing business? Don't just start that motor and start mowing down long blades of grass. It may sound tempting to pour the petrol in and get going straight away, but the most profitable lawn mowing entrepreneurs know every in and out and every blade of grass of the lawn care industry and mowing equipment. Just imagine showing up at a new client's home, being asked whether your engines are two or four stroke and shrugging whilst turning bright red. Efficient operations that maximise productivity don't just know business, they really know their stuff. But it's just not enough to know business and the world of lawn mowing. You also need to build your brand. An easy way to get the brand power you're looking for is by going the franchise option. Allying with a reputable and established brand like Crewcut will put you years ahead of the marketing power of a start-up name. Not just that, a lawn mowing franchise answers just about every other tough question. How do you start the business? What about marketing? What about finding clients? How about financial and management support? A business plan? Starting a lawn mowing business as a franchise means you'll hit the lawns running with credibility and trust. It's then up to you to start reeling in the big profits. Even with the power of a brand, the best gear and the right business acumen and industry know-how is still not enough for true profitable success. You also need all the mod-cons that make any smooth-running operation run smoothly. Business people big and small have systems and processes in place that allow those daily business operations to run quickly and smoothly. From the latest software to processes that save time and reduce paperwork, you need to free up diary and mental space so that you're attending lots of bookings, minimising problems and making swift and wise business decisions. As we said earlier, aligning with a franchise brand will make pretty much everything easier - including marketing. That's because you can have absolutely everything in place, and yet still not be getting the word out there sufficiently to fill your diary. Your actual service is one thing, but you need to package those services that give the customer value whilst balancing the need to push profits skywards. The best sales approaches involve a constant revision of advertising methods to see which ones work the best and most cost-effectively. It's an old business adage that is true across the industry spectrum but particularly relevant in the world of lawn mowing - new clients are great, but your base is always your existing customers. And it's always easier to boost your income by nurturing your client base than it is to constantly be needing to acquire new ones. There's an entire world of up-selling, additional or premium services, or packages for repeat or more frequent services to consider. Got an idle half an hour? Keep returning to step one and commit to constantly updating your knowledge about lawn mowing, garden care and the world of business and entrepreneurism more generally. Are there are lawn mowing businesses near you that really are thriving? What can you learn from them? Is there a process that you do every day that never really works out so well? Now is the time to replace it with something better. Finished reading all the books about lawn mowing businesses that you can find? Trust us: there is always another one being published. Truly succeeding in business, especially as a small business operator, is not just about the brand and the business, it's about you. And there's always something to improve. Most lawn mowing businesses are pretty much run by a single person - so supercharge your chances by being the one with more than adequate support. Perhaps it's just a partner to de-brief with every night. Maybe it's a business or industry mentor. Or perhaps it's offloading some of the despised work like bookkeeping or accounting to a professional. Either way, spreading the load means having people to pick up the slack so that you can focus on what you really need to be focusing on - supercharging profits. Let's be honest: if you think a lawn mowing business is your fast track to a laid back life, think again! Having a dream and turning it into a reality may seem exciting, but the only way to get there is to join ALL the others who succeeded before you did and really making it happen. It will require constant learning, an incredible drive to succeed, and buckets and buckets of determination and elbow (and lawn mower) grease. In other words, treat your business like the lawns you care for so much. Lovingly nurture and take care of it, and it will take care of you in return. Keen to start raking in the profits in your own successful lawn mowing business? Speak to us today, we'd love to help you out. There are so many health benefits to owning your own lawn mowing business - some of them are more obvious than others. Whether it's mental or physical, most people recognise some improvements in their overall health after starting in the lawn care industry. Here are just a few of them. It's pretty obvious that lawn mowing is a great form of exercise. Being out in the fresh air, going backwards and forth, pushing and pulling the mower - it’s all excellent for your cardiovascular system. Doing the constant exercise gets your heart pumping, and it's a great way to strengthen the muscle. A healthy heart means a longer & healthier life, something many of us desire. With all that exercise, it's inevitable that weight loss will happen. Many of our Crewcut operators reported losing a whole lot of weight after they started their lawn business. And it didn't take long either - most saw a change in the first 2 months. On average for an 80kg person, you can easily burn upward of 300 calories an hour, which translates to a moro bar an hour. So cancel that gym membership and workout while you work. We got some of our Crewcut operators to wear fitbits and track how much they walked over the course of a month (in the Autumn/Winter period). These results have been averaged out and are conservative numbers based on the time of the year, during the summer periods these steps would be a lot higher. Now the recommended number of steps most adults should be achieving daily is around 10,000. So these results are smashing the average out of the park (or should we say, backyard). Getting over the 10,000 recommended threshold has numerous health benefits including lowered blood pressure and better overall wellbeing. According to Psychology Today - the repetitive action of mowing the lawn can put your mind into a more relaxed state. Mowing lawns is a great way to give yourself the sense of job satisfaction. When you see what a lawn looks like after you've finished with, it can make you feel very accomplished. Additionally, the smell of freshly cut grass has been proven to reduce anxiety levels. The scent of grass has a calming effect which in turn helps you think with greater clarity. Many Crewcut business owners who previously worked in an office environment say the change to the great outdoor office was a welcome change. The fresh air, Vitamin D, and other factors contribute to them feeling better mentally. could be the change you need? No longer loving your job, but you've always loved keeping the lawns looking like an Olympic bowling green? It sounds like you're one of the hordes of people considering leaving the rat race behind and jumping aboard the ever more popular world of lawn mowing franchise ownership. You may be put off because you've heard that a successful lawn mowing business is like nurturing a perfect patch of green Kikuyu grass. In other words, seriously HARD. But as long as you treat that lawn mowing business like the real business it is rather than a throwaway weekend hobby, you can definitely make it survive and thrive. You'll need planning, support, business know-how, industry know-how, equipment, the financial backing, and good old elbow grease. But you knew that already. What you'll then need to think about is how to grow that business - because if the phone isn't ringing off the hook and your client list isn't ever expanding, you're not going to build the momentum to one day sell up and retire. To get your lawn mowing business into the growth phase, first you need to make it stable. You've done the groundwork: acquired the know-how, established a routine and got a good bunch of clients who always use you. Now don't mess it up! Avoid racking up too much credit card debt, don't start sleeping in and missing appointments, go above and beyond client expectations, and - most importantly - treat every client's garden as though it's your beloved Mum's! Get the basics right and the rest will follow. If you're struggling to get a decent list of clients up and running, you're not going to grow - it's just that simple. So before stressing that you don't have enough clients, think smaller. Get SOME clients, and then go from there. Got a good group of supportive family and friends? What a perfect place to start - now offer to do their lawns. At the very least, you'll get something ticking over and valuable experience and confidence at the same time. These people will serve as the foundations for very loyal clients, who will hopefully sing praises to their friends as well. Never forget who pays the bills - it's your clients. You know you have to be friendly, but there's a difference between 'I'm friendly because I need to be friendly' and 'I'm friendly and I'm passionate and I'm trying to do the absolute best job for you'. Trust me - be the latter. It's not just a smile, it's how you listen. It's how you react to and process criticism. It's how you follow up on even the smallest of little problems. It's the stuff that really makes the difference. If customer interaction is something you struggle with, thankfully with the Crewcut franchise system, you'll learn all the tricks of the trade during your training process. Good customer service doesn't need to be difficult. If you've got any chance of adding to that list of clients, you need to treat the ones you do have on the books like Kings and Queens! That's because the vast majority of your work is going to be coming from a much smaller percentage of your existing clients. So that means nurturing great relationships. So just like revving up your customer service, nurturing your client base means touching base. It means asking for advice about how to improve. Because if you become known as the friendly, attentive, can-do lawn mowing guy, you will have the foundation upon which to grow. All Crewcut franchise owners are given seasonal door hangers which thank their customers for their patronage - but also reminds them of all the garden services on offer. It's a win-win for both parties, and is one of the things customers remember and will keep coming back for. Now, anyone who has mowed lawns day in and day out knows that it's no walk in the park. But it's not a weekend paper round either. You need to go the extra mile, and it takes a lot of planning. Growing lawn mowing businesses are the ones that work the hardest - it's just that simple. They research the best times of year to market the hardest. They leave no stone unturned when it comes to getting the word out there. They think outside the box. They look professional at all times. They're self-critical and open to change and improving. They're highly organised. And they think every extra daylight minute is another opportunity to make a lawn look lovely. Now that you want to start seriously adding to that client base, know who you're targeting. Yes, all sorts of people turn to lawn mowing businesses to get their gardens looking spick and span, but as you grow, start to hone in on a niche market. Affluent people who are willing to spend a little to make their homes look a lot better are always up for it, as are those with moderate incomes but limited time. Then there are developers, builders and investors who truly know the value of curb appeal. Targeting your clients may even mean targeting an area where the majority of your customers live. While in the beginning it may be an option to do your round all around town - but this is not a sustainable business run. Instead choose a few key suburbs and maintain the clients in that area. You'll soon become the 'local go-to lawn mowing person'. Now that you know who you're targeting, it's time to go out there and get them! You know your potential clients' ages, incomes and locations, so now match that up with their habits and relationships - and promote your business. There are all sorts of advertising options and promotional opportunities, and plenty of hours in the day to pick up the phone, attend meetings, and line up partnerships with like-minded people and businesses. This is a whole lot easier with Crewcut, as most of the leg work and effective marketing is already done for you. But this shouldn't stop you from approaching locals in the community when they're at home or in the garden themselves. Just remember step 3 "boost your customer service", everything else should just fall into place. As your client base starts to grow and that growth becomes growth momentum, that's when it all starts to happen. But don't rest on your laurels! Keep doing what you're doing, and THEN start thinking outside of the box as well. Need an 'outside the box' idea? How about getting yourself into the news? Journalists are always looking for something fresh to report on, so think about whether there's an angle that might excite them. Something you've seen on your grass-filled travels? A special person or organisation you've helped? A cool local sports team you've sponsored? Once you start thinking outside the box, it will be hard to get back in there at all! The final word: Keep chipping away. Yes, just the idea of sustaining (let alone growing) your business can be daunting, and the lists of things to do and ideas for improvement seem to keep growing just as fast as that Buffalo grass. So here's the final tip: don't be overwhelmed. Keep reading. Keep learning. Keep your mind open. Keep mowing grass. And keep the dream alive. 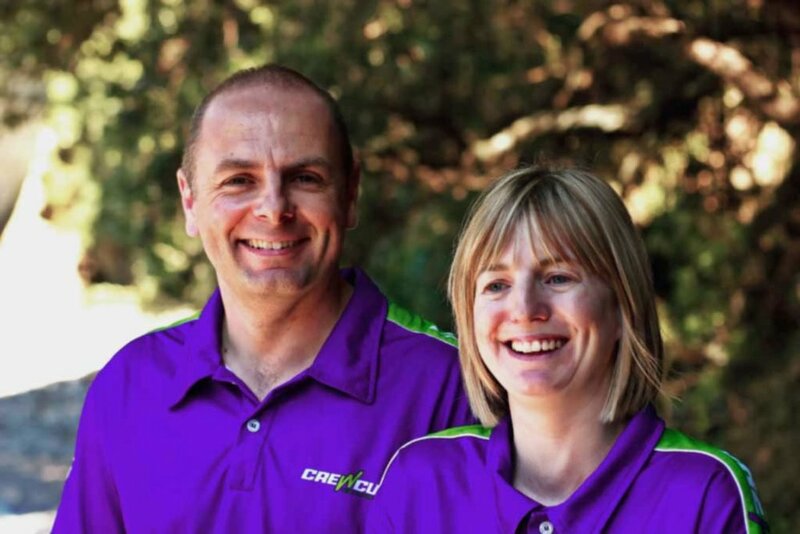 If there's anything else you want to learn about owning a lawn mowing business, be sure to contact the friendly team at Crewcut. We're always on the look out for fresh, new franchisees who want to begin their own success. There is more to a lawn mowing franchise than just customer service and cutting lawns. We have scoured our sources to find the best do’s, don’ts and tips for those of you who are in the industry. You may be nodding along as you read this, which may be a sign you are a perfect candidate for a franchise of your own. We know you want to fly through your lawns as fast as possible, but it will pay off if you wait before pushing your mower full throttle. Just like a car, you shouldn’t throw it in fourth gear without even letting it get warm. It’s not good to shut your engine down right away. Many operators will let it run while they blow off drives and walks for about 3-5 minutes. Doing this allows the engine to relax, and shut down smoothly without a backfire. Always fill your gas tanks up on the grass, never on truck beds. Sharpen your blades every 25 hours of lawn mowing. This may be every few days but it makes a significant difference in the cut. Learn to fix and maintain as much as you can yourself as it will pay off in time and money. Also, try to buy all your oil, belts, filters, and whatever else you'll need for the year. It's better to be prepared and generally works out cheaper to buy in bulk. Check for open windows or doors, when blowing or mulching grass as it can easily get blown into the house leading to unhappy customers. Swear, even to yourself as you might turn around to see your customer. While swearing is fairly common in conversation, it's probably not the best look for a business professional. Keep an extra set of belts and blades with you at all times. Because going to the shops in the middle of a job doesn’t look good for you or your wallet. Keep a spare tyre on hand and a portable pump. Cary a can of bug spray. You might come across a beehive, or another unwanted critter. Your customers will love it that you sprayed it for them so their kids can play outside, and you don’t have to worry for next time. Keep a fire extinguisher handy in case of emergencies. Do talk to your customers. Communicating often will develop a relationship, they get to know you more and your business together will last longer. Be courteous, let them know if you'll be a day late, try to keep this communication within business hours. Don’t underprice your lawns. Get quality clients willing to pay for your good service, rather than trying to haggle you down. Customers who want the cheapest deal are more likely to leave you if they find a cheaper option. Remember, they aren’t just paying for your time and labour. It's insurance, gear cost, travel time and everything inbetween that adds up. Don’t sell yourself short. Take the time to make lists and goals. Make a business plan to track your progress and where you might be losing money, or where you could gain more. Prepare for winter, set money aside or invest in something weekly. Push your other services in winter, up-sell your clients on hedge trimming, pruning or a general garden tidy. Chase up those who don’t pay, and keep checking your accounts. Everything adds up, and you don’t want to be working for free. When you are on the biggest property of the day, check the gas is full. Always walk the property first - even twice to make sure there is nothing that could cause damage to yourself or the mower. For cold water all day, freeze half a bottle of water, then top it up and stays cold. Make sure your mower will fit past the gate when pricing the job. Close the gate behind you, ALWAYS. Write down your equipment serial numbers and keep on file. If your gear is stolen you can give this to the brand to see if it pops up for repairs/is sold. Our franchisees biggest tip: Buy quality gear. This is the biggest piece of advice from our franchisees. Countless times, new franchisees will pop down to the local store and get a cheap weed eater or mower. These work for a month or two, but you will be surprised how quickly it wears down. Shortly after purchasing it will break, and won’t be worth fixing. Get yourself quality branded gear, the brand will look after you with a warranty and you can get mowing without worries. Check out our some of our Tauranga franchisees brand preferences on their bios. Running and maintaining a lawn business has more parts to it than just you and the mower. But don’t let that put you off starting a lawn mowing business, because if you follow these tips you'll be a pro. Let us know if you have any more tips or comments on these technical do’s and don’ts, we would love to hear them. Interested in a lawn mowing business? Who will look better behind the mower; you or your partner? Working with your spouse may seem like a scary thought for some. For others however, it could be the start of a bright and successful future. A lawn mowing business is a lot of work, and often takes more than one person to run effectively. In fact, some of our most successful lawn mowing businesses are made up of couples. While many households struggle to keep up with the increasing cost of living, a lawn mowing franchise could be the secret to ‘trimming those bills down’. So why does the couple team work? It works because you’re both the owners of a successful business model. Sharing the same common goal of business success can bring many couples closer together, as you’ll both motivate each other to get jobs done. However you arrange the workload, you will definitely be able to handle more lawns and gardens. While a single operator may handle 8-10 lawns in a day, a couple could probably handle up to 20. This is a huge benefit as it gives you the flexibility and capability of expanding your business. This is a huge bonus when it comes time to re-sell, and can mean a higher sell price for you. While you may sometimes converse with your clients - they're often away from home. During the day - it's not uncommon for lawn mowing business owners to not have anyone to talk to for the entire day. From time-to-time, this can make for a pretty lonely work day. However, having your closest friend with you can make the day go faster. Someone you know the strengths and weaknesses of, and in this way, you’ll be able to better assign tasks and roles. Another benefit of owning the business together is that you can help out if one of you gets sick. When you own and run the business solo - it becomes extremely difficult to continue the daily tasks when you're feeling under the weather. However, when you have a partner to rely on, it can make things a whole lot easier. Even if they can't take over your lawn jobs - they'll be able to communicate with your clients and let them know you may be a few days late with their lawns. What are some the different team combinations? A popular combo is the mowing and book keeping duo. While one is out doing the lawns, the other is working on all the finances and contacting clients. This is effective as it saves double handling of jobs and solidifies your roles (which would negate any possible arguments). If both are tackling the mowing, you’ll be able to get plenty of lawns done in a day. The average single mowing operator can get around 8-10 lawns done in a day. If there’s two of you? You can only imagine how many you’ll mow through. Although Crewcut is primarily a lawn maintenance business, the unsung hero is gardening. If one or you looks after the gardens, that’s a huge opportunity made for extension of your services. Customers really seek operators who will go the extra mile and provide a whole range of services in their backyard. 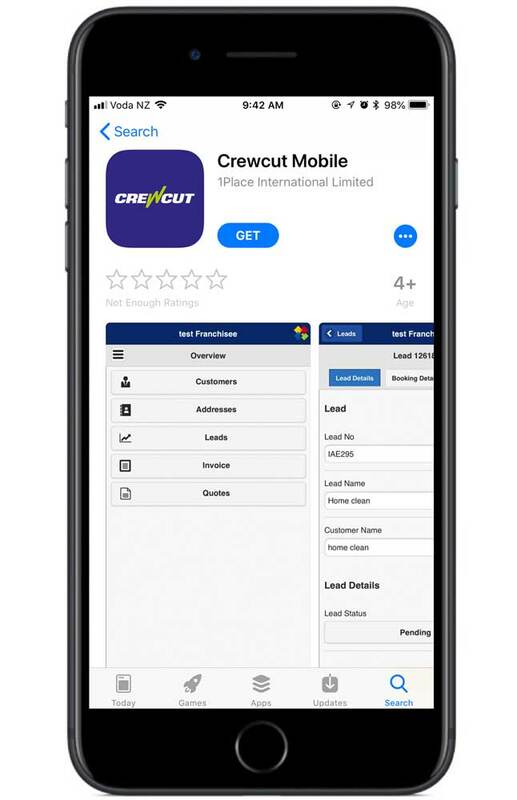 If you're interested in giving Crewcut business ownership a go, make sure you do your research and your own personal assessment. If you’re unsure about the qualities you’ll need, have a read of ‘7 reasons a lawn mowing franchise might be for you'. If you’re still interested, give us a call on 0800 800 286 or email us info@crewcut.co.nz and we’d be happy to talk to you about a business for your ‘couple team’. So who will look better behind the mower? We’ll let you two decide on that one. Those who know the struggles of winter most are definitely lawn mowing business owners. It can be a hard time for anyone who works outdoors, but especially for those who mow lawns for a living. If you're starting out this winter, we applaud you. We also recommend to anyone who is about to start their first winter season as a lawn mowing operator - read these helpful tips. When the grass is wet, it can be extremely hard to trek a mower through it. The lawn mower can rip up the ground and the grass will clump in the blades. Our pro tip is to continue mowing lawns but with a weed eater. While this may not give you the same finish you'd get with a mower - it will definitely avoid any other complications with the lawn. It doesn't really matter what it is, do it. Hedges, water blasting, section tidies or light tree pruning - these services will bring in the dosh when the lawns don't need mowing. Many lawn mowing operators tend not to stretch far from duties behind the mower, but in the winter it definitely pays to go further than normal services. Perhaps it's time to get your extra friendly face on and introduce yourself to some of the neighbours. You could create a new social media page and push that to locals in your area. Don't be afraid to get testimonials from your current clients which will help sell your services to others. Without proper education and training, many things can go awry. The equipment and your environment can have large implications if not treated with care. That’s why it’s important to implement proper health and safety policies which you can get through Trimsafe. Not only does it make you a safer operator, but it gives your customers reassurance and peace of mind. Most of our Crewcut operators are enrolled in Trimsafe, so they can be safe on site. - First of all give it a visual inspection to see if there is anything physically wrong. - Sharpen or change the mower blade. - Check the motors air filter. If it's dirty or clogged, it could slow down your mowing efficiency. When we say this we mean, update your uniform, clean your vehicle and make sure your sign writing is looking great. If you're part of a franchise system like Crewcut, getting these things sorted will be a breeze. All it requires is contacting head office, and they will send these things out to you. If it's winter in this part of the world, then it must be summer somewhere else! While work is slow, you could go away on holiday and make the most of the time off. It goes without saying that in the summer months while everyone else gets a break, you're generally at your busiest. Have you wanted to learn a new technique or two? Or perhaps learn some basic maintenance for your machinery. Winter is the perfect time. These new skills could be in your back-end accounting type jobs, or practical gardening skills you could turn into services offered to clients. The winter months are the hardest time of year for any lawn mowing operator, which is why it requires careful planning and budgeting beforehand. During this planning period, you may set aside time for any of the things listed above, or it may be a time to get your finances in check. So even if the dark grey clouds are out, and it's looking a bit doom-and-gloom, there is plenty of work to be done. So you want the direct path to wealth and happiness in the lawn mowing industry ? With 30 years now in this industry, I have seen almost everything on the subject of profitability for a residential lawn mowing business. While I mowed lawns predominately in Auckland (most of that within a lawn mowing franchise system), I have also mown lawns in many New Zealand cities and a couple in Australia. I have bought and sold hundreds of private and franchised lawn mowing businesses and advised many lawn mowing owners how to improve their businesses. These are the key habits and tricks to making better money than your competitors. Most of these tips are either good tips to improve operational efficiencies or habits that need to be formed to improve profitability. They say it takes 21 days to form a habit. In my experience, it's failing to practice these simple habits that stop hard working lawn mowing franchisees and operators from realising the true potential of their businesses. This is especially important for running a lawn mowing business in main urban centres to avoid traffic. The early bird catches the worm, so find the lawn suitable for early starts. Usually it's a commercial client that will not impact on late sleeping clients and neighbours. Finishing early means you have more time in the evening to get your admin sorted as well. You don’t get paid for travelling between lawns. A little known fact is that your body tends to get stiff and cease up the longer you sit in your vehicle in-between jobs. The shorter the travel time, the easier it is to keep your momentum moving forward. At Crewcut we buy back excess lawns to facilitate less travel for our franchisees. This means you can really condense your patch of clients into one or two key areas and boost profitability. This is a whole article in itself, but it's not hard to work out that not all lawns are as profitable as others. My advice - during spring, put the price up for the twenty percent of your 'less than profitable clients'. This will groom your clients annually to improve your profitability. If you do this in spring you will be less likely to lose clients. The main types of mowers you'll see are catch, mulch and side-deliver. In a perfect world we would side deliver, side throw (or a Crewcut mower) on all our lawns. These types of mowers are by far the fastest and easiest. Next is mulch mowing. It's both quick and very good for most lawns. So it's a great environmental solution. Catching is one of the slowest and even if you start charging more, it's always harder to recoup all your time and effort. The best catcher is a Reel Mower but this is really for the flat lawn that will be kept in the best shape. Again you will have to charge a premium. By encouraging your clients to mulch you will be both fast and environmentally friendly. Just remember that the client is always right, so do what they want, but it doesn't hurt to sell and promote mulching. In the end, it does grow a healthier grass, which is something all clients want. Do a weather check each night and unless it's a flood or your lawns are far too soft to walk on, then commit to mowing in the rain. This is more about work ethic and motivation than anything else. But lawn mowing contractors that are unstoppable make more money. Customers like knowing that no matter what, you'll give 100% to their lawn despite the weather. All Crewcut franchisees have a well developed client Terms of Trade form which is printed on the back of each client statement or invoice. Train your clients to pay monthly or every two lawn cuts. Cash flow is the life-blood of your business and good cash flow will mean that you never have to worry. Remember that planning customer payment methods is far easier than trying to claim their debts - it just gets too messy for what it's worth. Every week or 10 days, change clients from fortnightly to weekly for the growth season. Often they will agree for short periods of time. Not only does it increase your chances of profitability, but it will make your customers feel like your schedule is based on their lawn growth - one way to make them feel important! At the end of each lawn mow, check your line trimmer cord and top up all machines with gas. Your flow and rhythm is essential to good, profitable days. It's also a good idea to check under your mower and clear out the clumped grass - it will help you mow a bit faster. This might seem a bit of a basic tip, but lawn mower operators that make the most money always walk fast. Your profit is connected to your average speed. This is unless you have a business designed to take them, and you have some experience in how to manage them. In a residential lawn mowing business, often two people in the same vehicle don’t make double the money, as you have to pay them while you're travelling from lawn to lawn. That said, it can be suitable if you use casual labour for gardening as these jobs are typically longer at one address. Do not hold onto old equipment as it's a false economy. Equipment, like anything else has a life. Budget for replacement. Depending on your maintenance and care, often equipment will need to be replaced every 18-24 months. This is about flow and process and making sure everything works well when it comes to access, storage and speed. Unfortunately the jandals have to stay at home when you're mowing lawns. Make sure you wear comfortable AND protective footwear. Not only will they make you faster, the'll prevent any risk of injury from mowing over your foot or getting cut by the grass. Order your run at night for the next day and prepare equipment so you're ready to go! This might seem simple enough but it's one habit that will make you money every day. Generally when you first wake up it can take time to get your brain into second gear. If all you have to do is jump in your vehicle, look at the first lawn job and get mowing, this will mean your day will flow much better. Simple ways to prep your equipment include cleaning your gear and filling the mower and line trimmer with petrol. You don’t pay for money on any petrol machines that aren't being used on the roads. This is free money and for a residential lawn mowing operator, this can amount to quite a bit of coin. Especially during the warmer months, your equipment and vehicle will be going gang busters. It's often the worst timing, but things can break down. Organise a supplier that will lend you loan equipment while they repair yours. Preparation for these events will minimise your down time. Many independents will read this and ask why. The simple fact is that we supply our franchisees with a steady flow of qualified leads. Which means we continuously attract people who want our mowing services and pass them on to our lawn mowing franchise owners. This is a huge advantage over a private business. Marketing takes experience and time which many lawn mowing independents don't have. So maybe they have bought a lawn run and it's all they need, but again how do they condense travel time and develop the business further? The selling back process and personalised marketing package each Crewcut franchisee gets insures that their business will always improve in profitability and revenue. Finally along with the above, at Crewcut we live with a set of company values. By following them we always succeed, no matter what the situation is. If you or someone else you know might be interested in a Crewcut lawn mowing business, be sure to contact us on 0800 800 286. Check out our list of available lawn mowing franchises for resale as there may be an opportunity in your neighbourhood. In my view, a lawn mowing business plan should be kept simple. Once written, it should provide you with clarity and should be easy to follow for any reader. So who are you writing your lawn mowing business plan for? These are in order of complexity. Before you write one for a bank or a business partner you need to address one thing; What sort of security and resources do you have to bring to such a venture? The bank will likely want to see equity in a property or home. You will need to fill out a financial statement of position form. This tells the bank everything you own, your current outgoings, your debt and the equity you have at that point of time. The bank will want 3-6 months of bank statements (if it is a different bank or lender to who you normally use). If you don’t own a property with a good amount of equity, in other words unencumbered home with little debt, then don’t bother even calling a bank as they will not be interested. One advantage of a Crewcut Franchise System is that we can overcome some of this as long as you have enough money for the vehicle, equipment and a small deposit. It is key that you don’t start any business with more debt than the business can handle in the start-up phase. I would recommend in any scenario that you always start with your own plan. I mentioned what is required by the bank only to save you time. The place to start any plan is with your personal business plan. A business partner will at the very least want to see this if they are investing time and money into the venture, unless it is your wife or a trusting relative. In my view, you should alway start with a one page plan. How will you financially live or get by for the first 6-12 months as you build you business? If you purchase a lawn mowing franchise, this is less relevant as you start with a ready-made own business with only a small development cost, if any. This depends on the package. What is the cost of the equipment? 2 Lawn mowers of commercial quality for residential or commercial use. What vehicle or trailer will you use? Your current Vehicle with Trailer or Van or Truck - Vehicles need to white for a Lawn mowing Franchise. What is your marketing budget and how will this be implemented? This could be a monthly cost and strategy which is outlined in just a paragraph or two. A big unique benefit to a Crewcut Lawn mowing franchise or business is that you get your own web page and digital marketing package when you start along with dedicated marketing to insure your business always develops and grows. With an in-house marketing team, the national marketing plan is being constantly developed. What number of lawns will you need and how long will this take to develop? If you are considering starting as an independent, you need to consider this and at least write yourself some targets. It may be crystal ball gazing, but it is an essential number as this is the thing that will be the difference of survival or not. I would estimate the average lawn price in Auckland is about $30 while this may be more or less in smaller cities. Based on Auckland lawn mowing prices, when your business has grown to 40 lawns a fortnight, it will have a revenue of $1200 or $600 per week in summer. This is still only a part time business. As a Auckland Lawn mower contractor, you will need grow your business to at least 80 lawns a fortnight with additional property maintenance so that you could earn revenues of $1500 per week. At Crewcut we like to introduce someone that is not mowing fit with about 60 lawns and then grow the business rapidly from there. This gives enough time for a lawn mowing franchise operator to orient themselves to all aspects of the business while their business gets to 80 lawns in the following weeks. Some lawn mowing franchises nominate to have larger businesses however, the only requirement at Crewcut is providing a top notch service to your client base. You could eventually have 140 or more lawns and this is determined by the franchise owner. Will this be part-time or full time? A part time business may not need much funding, and could be started with just one 21 inch catcher lawn mower of commercial quality with the ability to mulch or side deliver. A line trimmer straight arm loop handle and a blower and trailer. However if you want to be working full time, then purchase a small private round or a lawn care franchise and get cracking. If it is for the bank with a position of statement form, it will be a two pager. Keep a copy to look back at and celebrate certain milestones. If you buy a lawn care franchise you can start any time of year. If you choose to start a lawn care business from zero, I’d advise you to start in spring. That will give yourself the best chance for your marketing to work. I can’t stress enough that you should always write your goals down and add them to your plan at the start of each year. People who do this have a written plan to look back at and have mentally prepared themselves for success each year. Other things to consider are your plans for a lawn mowing health and safety policy, a trading name that is memorable also to use for the business bank accounts, selecting a good reputable accountant and taking advice. You can also get your tax returns done for as little as $500 if you are organised and shop around. If you are purchasing a franchised business you will need a lawyer as well. For professionals, always get a quote. A lawyer will prepare any sale of purchase agreement for you and or advise you on a Franchise Agreement. Now you have considered all this, don’t procrastinate. Start! If you're looking for my advice before starting your career as a lawn mowing business owner, check out some more lawn mowing business tips here. Mistakes. An inevitable part of building a business - but can you avoid some of them? When you start your own lawn mowing business, you're likely to encounter plenty. But many of these issues can be avoided if you know where to get sound advice. We've heard or seen almost every mistake under the sun. Here are our top ten mistakes we see from new business owners or independent lawn mowing operators - and how you can avoid them. One of the biggest mistakes you can have in any business, but especially when starting a lawn mowing business. When you think you can do 100 lawns in a week, you'll probably end up under the mower. But this mistake can extend to other areas, like customers and type of work you get. While you may only expect to do lawn mowing, there are other services that will need to supplement your income. Pro tip - write down what you expect from your first year of business, and perhaps cross check this with another lawn mowing operator. They'll have a wealth of knowledge to share. Quite a few can get trapped by borrowing too much. While starting in a new business or franchise can be expensive, it takes a lot of careful financial planning to make sure you do it properly. Those who join a franchise like Crewcut will be shown how to budget correctly to avoid getting into large amounts of debt. Whether it's poor communication with your customers, head office, or your regional manager - it's not going to get you very far. Be sure to let people know when you're going to be there, and if you can't. Trust us, an informed customer is a lot less problematic than a confused and irritated one. 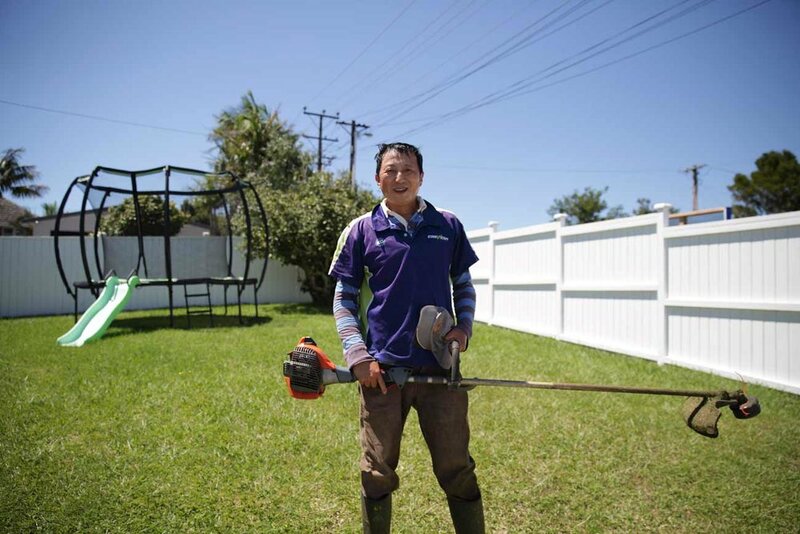 Out of fear of not getting the job, a lot of lawn mowing operators underprice the job. The only issue is the customer will get a certain expectation that this will be the ongoing rate. You don't want to sell yourself short to get the job. Ultimately there are always plenty of other lone wolfs out there who will try to give the customer a deal, but cheap rates only go so far. The best way to get the job is to show you're professional and can do a quality job. If you don't plan where you'll be or what jobs you'll do on a certain day - you're going to run into a myriad of issues. It's also not good for your customers as their mow may be delayed or they don't know when you're coming at all. Going for the cheap isn't going to get you far in this industry. If you think you can get a cheap lawn mower from the Warehouse and expect it to last you forever, you'll be bitterly disappointed. Trust quality, well known brands. And again if you're going for second-hand equipment, you'll have to prepare to replace fairly soon. If you talk to head-office, you may be able to get a discount on some well-known brands. A lot of people have been employed, but don't understand the pitfalls of having to take responsibility for their own business. Self employment is no mean-feat. It takes plenty of the 3 P's: persistence, planning and positivity. With a franchise network you'll have advice and support from other franchisees and a regional manager. This can take away some of the stress you may encounter if you were to start an independent business. It's important to budget for certain things in a lawn mowing business. Some of these things might include GST, ACC, or franchise fees. Another important aspect of the lawn mowing industry, is to plan around the seasonality of the work. For example, in the Winter months, lawn mowing services slow right down. If you supplement your income with extra garden services or you have another job - then this won't be an issue. However, if you're relying on lawn mowing for your entire income - you absolutely have to plan for these quieter months. Thinking that you're just the person behind the lawn mower really limits how far your business will grow. You're more than that. You're the face of your successful business. The person the customer will see on a regular basis. So be proud of your business and put yourself out there - it will get you a lot further than the guy who is just a lawn mower. Being a lawn mowing business owner means your schedule relies heavily on the weather. Rainy days, cyclones and other weather anomalies can really take the ‘wind out of the sails’. But making the most of the bad weather is what will get you ahead of your competition. When Cyclone Gita battered parts of New Zealand in February, the effects were definitely felt. Though it was downgraded to an ex-tropical cyclone, it still left a lot of people around the country with a big clean up. Crewcut operators had to work around Gita to make sure their business didn’t suffer from the forces of nature. Then you get other big storms like the one felt across the country April 11. Powercuts, tree debris on the road, and plenty of wind & rain have accounted for some home owner stress. Just imagine how it feels for the lawn mowing operator. So how does a lawn mowing business work around a cyclone or crazy weather? When the grass gets wet it can cause a problem with most lawn mowers, as it clumps together and gets stuck in the blades. During rainy periods, you may find some lawns fully submerged in water. Not only can it do damage to your mower, but there is a big health and safety risk as well. The grass becomes slippery and operators can find themselves in a potentially hazardous position on a slope where they may slide out of control. It can also cause damage to the lawn as the wheels will tear up the soft ground. We advise Crewcut operators not to work on the tools when the weather takes a turn for the worst. We contacted some of our Crewcut operators from New Plymouth to Nelson to find out what they do when the weather makes it impossible to provide lawn mowing, or garden services. In New Plymouth a state of emergency was declared during Cyclone Gita. It wasn’t until Sunday when it had been lifted, but the cyclone had left the city with no fresh drinking water for five days. Neil, a New Plymouth Crewcut operator, mowed for as long as he could on Tuesday when Gita came through. However, by 1pm he had to call off his jobs due to the rain and wind being too heavy. Neil’s solution around this extreme weather was getting out on the tools earlier on the day of the storm and the day after to pick up on missed work. This initiative made sure that his business wouldn’t miss out on any income. The day after the storm did require a bit more than mowing though. He found himself doing some section tidies to get rid of broken branches and other debris. Unfortunately, the storm also knocked out their power, so all of the online paperwork had to wait until the computer could be turned back on. Couples that work together - and love it! At the top of the South Island, Phillip Rogers provides his service to Nelson. Though a lot of the area he operates in wasn’t affected by flooding, the surrounding areas did encounter the overflow. The cyclone however did prevent Phil from getting to work for his clients. The rain and wind proved to be too much and he had to take one day off while Gita passed through. Though he didn’t miss on this opportunity to make sure his lawn mowing business still operated well. He managed to get maintenance done on his gear, clean out his van, and finish off plenty of admin work. The morning after, he just waited out for the sun to dry off the grass so he could get back into what he does best, lawn mowing. Getting all of these tasks done during the weather chaos allowed him to relax at night knowing that he’d done something productive. Two of our operators in the Wellington region had similar scenarios with the weather. Adam from Lower Hutt had to take the day off as well, though it wasn't such a bad thing. It was his first day off in four weeks, so he got to spend the time with his wife and kids. Relaxation is another important part of running your business. It’s not worth going non-stop if your mental health and family are taking the backseat. Kapiti based, Tony, said that thankfully there was no flooding. However, there were plenty of branches and cabbage tree leaves on his client’s properties the next day. There were also a few slips on the way into Wellington, so anyone heading there had to be careful. He also had to take the day off from providing his lawn mowing service due to the weather. Instead, he worked on his fuel tax rebate so he still managed to bring in a few hundred dollars without being on the tools. This is another great initiative to take to make sure you have a steady flow of cash coming through. When it comes to this extreme weather, our Crewcut operators need to be motivated and smart with their time. Owning a lawn and garden business is more than just mowing a lawn or trimming a hedge. A smart operator will carry out maintenance on their gear, get up to date on their paperwork, or take the well deserved break to spend time with their family. There is so much more to business ownership than the service itself. Taking the initiative and making smart choices with your time will lead your business in the direction of success. I worked as an independent lawn mowing contractor for about five years before I started the Crewcut Franchise Group. During this time I was building lawn lists into scalable lawn mowing businesses and then selling them off. So when considering building your own lawn run, what is the cost? Your time is definitely worth something, so how much of it do you have? To build a lawn mowing business, you must have free time. How much is your time worth? If you’re working in a highly paid job that you want to leave, building lawn lists full-time may not be the answer for you. You may want to consider purchasing a private lawn round or a lawn mowing franchise, because building a lawn list has an actual cost, and it's not cheap. But if you have lots of spare time and are up for the challenge and commitment, then building a lawn client list could be a good solution. The cost is pretty simple to work out. To keep it simple, let's just put a cost for a month of your time. If you decided your time is worth $30 per hour, then one month of constant work is worth $5200. If it takes you three months of full-time work to build a small chunk of work, then the cost is $15,600, less the cost of the work completed and invoiced for. So how many months will it take to build a lawn list? This will depend on the marketing skills you have. You may already have the knack of marketing along with a great network, like being an active member of a local sports or community club. This will help a lot in growing interest in your business. But practically getting the first cluster of clients is the hardest. I would, however, set your own goal and establish a forecast and an actual number you hope to achieve per month. You may need to consider how to supplement your lawn mowing startup with a part-time job. Marketing - This is essential, and some basic understanding is an absolute requirement. Do a lot of reading online before you start your business. Good health - As long as you don’t have old injuries or ailments, then becoming mowing fit takes 6-10 weeks. Organisation - As a business owner this is essential to be able to balance your time between mowing lawns, marketing, sales, and bookkeeping. One bit of sound advice I can give here is time your start well. To maximise your business building, you will want to be ready just before the highest growth season, spring. Do all your research, make your lawn mowing business plan, and consider all the issues that may arise. The people that do well in business always do thorough planning. Again, have this plan completed in winter so that you’re all ready to start in the high season, Spring. In New Zealand, I would have the preparation and planning stage completed by the end of August. That includes marketing materials, policies, your vehicle, and all the equipment. a timeline to get to the first milestone. Residential lawn mowing is different in every town. In small towns, the land packages are large, and in large urban areas the land size is small. At Crewcut, we have some small towns (Bay of Islands) where it is a requirement for everyone to have a ride on mower. That said, most of this article is written for the average start-up in large residential areas. So let's say you want to initially build a part-time business of say 20 regular lawns to cut per week. Based on the fact that most lawns get cut on a fortnightly basis, that is around 40 clients. Let's say the average lawn cut is $30, you could plan to have a revenue of $600 per week. A lawn may get cut about 22 times per year, so in regular lawn cutting terms that’s $26,400. You would or could also do other property maintenance work. So let's say through referral and off that client base, you could earn an extra $4000 with some preparation for slow months. In total you could earn $30,400. The point I’m making here is that you need to establish your goals. Do some back of napkin planning. Do you need to keep your current job for a while until you can go full time? Obviously, if this is your retirement project, you are going to view it differently. Let's say full-time businesses start at about 80 lawns. In Crewcut, we start franchise owners with 60, but that is to get them mowing fit. Newbies to lawn mowing businesses need to get their line trimming skills up to a speed that can accommodate 80+ lawns. A skilled lawn operator can mow more than 100 lawns on their own. I have known operators that do far more than 100, but this is all about skill and experience. 80 residential lawns is a sweet spot, and a great goal for a lawn builder or lawn mowing business start-up. We will assume you have gotten to 40 lawns already and now you are planning to build a revenue of $60k and upwards. The thing to consider is getting slowed down by winter. In New Zealand, there are dramatic differences between the South Island and the North Island. It obviously slows down to a holt if there is snow on the ground. Again, make a winter plan. In some parts of Winter, you will have little more than seven hours of light. Before you drop off in income, consider broadening your service offering. This can backfire though as people will want these tasks done at the height of the season. Tree lopping, gardening, hedge trimming, gutter cleaning and water blasting, to name a few. From 80 lawns, it is very easy to build to 100+ as the referral work from a solid base should be quite steady, as long as you are a good service provider. This is pretty straight forward, so consider what hourly rate is expected by the market. Some suburbs and towns have lower lawn prices than others. You may decide that you want to achieve $50 per hour when mowing lawns. You will be pricing lawns against competitors, so you will soon learn where you’re positioned. You may lose a few potential customers until you grow in confidence. At Crewcut, we teach you basic sales skills to convert clients. First Impressions count for everything. It amazes me how independents and franchise owners alike get this first sales tip wrong. But it’s key to basic sales. The first three tips are all about that first 30 seconds you have to leave an impression. Get all of these right and you are 80% of the way there. Turn up on time as agreed. You have your work cut out for you if you don't keep your word. In a busy world, a customer’s time is valuable, so don't fail on this one. Be presentable - Clean, tidy, fresh, and smell nice- uniforms and brand help build credibility, and demonstrates that you can easily be found and are accountable. If you turn up in an unmarked shirt and shorts (even if it’s tidy), you are deemed as a nameless person that can easily hide if something goes wrong. Look like you mean business. Smile and make eye contact. Let them know you’re keen to help. A smile and friendly greeting are free. Before you leave, give them a genuine compliment. Listen carefully to their requirements. Up-sell if you can and advise them of additional work they may want to consider. Then ask for the business. To close the sale, remind them that you can do the lawn immediately. If they hesitate, throw something in for free. Remember you should have extra time to do this. I never used to leave the property until I closed the sale. This is your database. If you have ever sold Amway or Insurance, then you know what to do here. Make a list of all your friends and let them know yours in the business. They may end up mentioning it to someone. Use your social media and mention it from time to time. You have a community, but you have to let them know. If you don't want to do this then sadly building a business from scratch is probably not for you. Maybe you're more suited to buying an established mowing business. Very few Traditional Marketing techniques work anymore, but here are a few tools that you may want to prepare before starting your lawn round. There is no point in printing these if you forget to give them out. It may seem like a small point, but get into the habit of keeping them on you at all times and giving them out. For most people, this has to be practised. Web Page - This does not have to be expensive but is really important. When I started my first lawn mowing business years ago, it was all traditional marketing. Distributing pamphlets, placing adverts in local news papers and advertising in the Yellow Pages. It's pretty safe to say these are all dead, apart from networking. Marketing is all about digital. If you want to be found, then you must have an online presence. A web page does not have to cost a lot, but is your most important tool. Apart from choosing your name and getting a simple logo designed, I would advise this page to be designed, written and online as early as possible. You should have this is completed months before you launch your business. There is a real art to writing, but you may enrol a friend or well-priced copy writer to help build the content on your webpage. Images are also really important. My recommendation is that get some good help from a small webpage and SEO company. How much will this cost? Depending on where you go and what you want, this could cost as little as a few hundred dollars to many thousands. Working on your web page is something that should be done regularly. Focus on the locations and details that will build your lawn mowing business in your geographic area. If you don't send an invoice then you won't get paid. Certainly in the beginning, you will want to be paid at the time you mow a lawn. But as you grow, this is pretty much impossible. You have to develop a good rhythm for sending out accounts. Usually, people don't like paying small accounts on a regular service. When you’re setting your terms of trade policy up, I have found that if you mow twice and get paid from a two cut monthly invoice, then everyone is happy. At Crewcut, the software we use to distribute work to our franchise owners includes an online accounting package, but you may want to collect all your receipts and learn to run software like Xero. If you’re not organised and hate book keeping then you will need help here. The most important habit to learn is to keep your receipts and keep your expenses recorded well so that your book keeper or accountant’s work is easy. Make it easy for them and get a cheap bill from them. Make it difficult and it will cost you. Health and Safety are important and needs to be considered before you start your business. It also might seem complicated, but you will not attract any commercial clients without a thoughtful Health and safety policy. At Crewcut to make it easier for our franchise owners, we use a product called Safety Work Kits. Safety work kits is a templated system to help you start on this journey. While you still need to think carefully about hazards and how you manage these, it will give you most of the forms and polices to help you form the habits required. There are many other things to consider when building an independent lawn mowing business, but I have covered off on the key ones. Independent lawn building is well suited to people that don't follow systems and have some great marketing and business skills under their belt. At Crewcut Franchise Group, we enjoy great relationships with independent contractors. If your business proves to be successful, then please keep us in mind when you want to eventually sell your business. We purchase a lot of these, so this may be a viable and quick way for you to also exit the industry.